We specialize in distinctive medieval and Renaissance home decorations and decor. 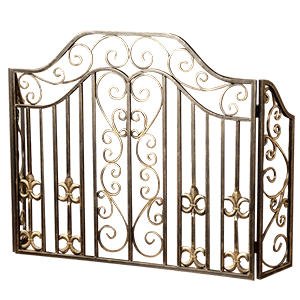 Our home accents are items that make great home and office decor items. 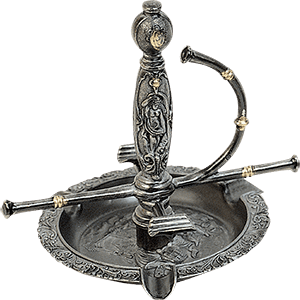 We have everything from ashtrays to wine bottle holders in this category, including everything you need to deck your home out in medieval, Renaissance, and fantasy style. 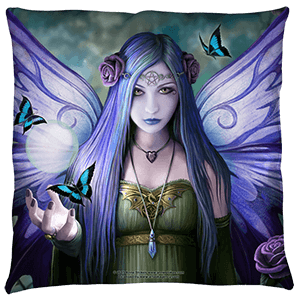 Shop blanket and pillows, bookends, coasters, clocks, crystal balls, door knockers, incense burners, kitchen accessories, trinket boxes, and much, much more to transform your surroundings into a medieval castle! 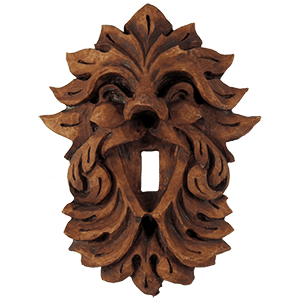 Our medieval home accents are perfect for themed rooms and make great conversation pieces. 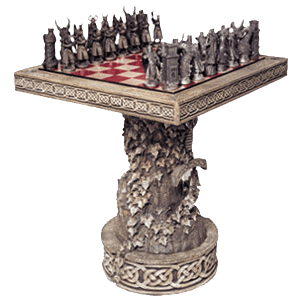 Show your true interest in medieval, Celtic or Renaissance eras by displaying these interesting pieces of home decor. Our fantasy, medieval, and gothic ashtrays can add an extra touch of unique style to any decor and make great conversation starters on coffee tables, desks, and end tables. Whether you are keeping cigarette ash contained or simply displaying small trinkets together, these ashtrays will bring elements of other eras, cultures, and realms of magic to your surroundings. These ash trays are beautifully detailed in the various historical and fantasy styles. Check out timelessly stylish Celtic and gargoyle ashtrays as well as skull and skeleton gothic ashtrays. We offer dragon ashtrays, pirate ashtrays, and even steampunk octopus ashtrays in this category here. 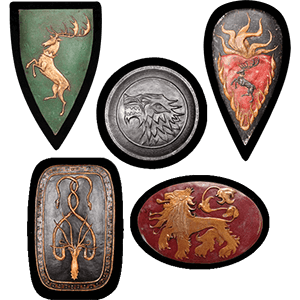 Let noble knights or fearsome dragons defend your favorite books! 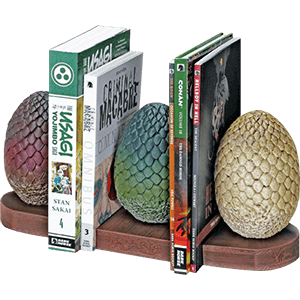 Our selection of bookends includes both dragon and knight bookend styles, as well as a plethora of other fantasy, historical, and pop culture takes on this classic bit of bookshelf decor. We offer cold cast resin and decorative bookend sets featuring the armour, swords, and soldiers of the Middle Ages and Renaissance. 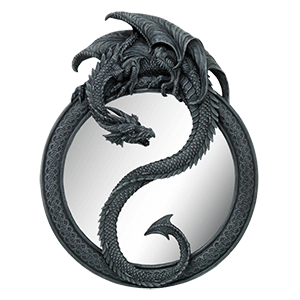 We also offer unique steampunk and gothic bookends, as well as fantasy options such as mermaid bookends and dragon bookends. 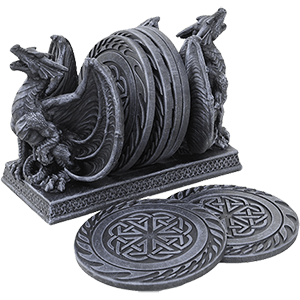 For anyone who has books they would like to keep propped up, or a shelf or desk that needs extra fantasy style, our fantasy and medieval bookend sets are perfect. We carry a wide range of medieval candleholders. 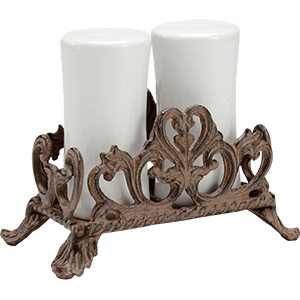 We have tea light candleholders, candlestick holders, medieval candle holders, gothic candleholders and pewter candle holders. All our medieval candleholders and gothic candle holders are made by top manufacturers from around the world. Our pewter candleholders are made by craftsmen in Sheffield, England. Whether you are decorating your home or office and looking for a gift to give someone, these medieval and gothic candleholders are the right choice. When you want a unique time piece for your home or office, we have a wide assortment of decorative clocks in a variety of styles. We carry wall clocks, desk clocks, table clocks, and mantel clocks in styles like medieval, gothic, fantasy, Baroque, Art Nouveau, steampunk, and more. 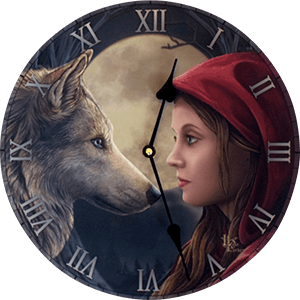 A number of our wall clocks display gothic and fantasy designs from celebrated artists like Lisa Parker and Anne Stokes. Most of our home decor clocks are battery operated with batteries sold separately. Browse through our selection to see the array of striking time pieces we carry and find the perfect fit for your interior design. Incense and oil burners not only help you enjoy your favorite scents, but they should make a statement in your decor! 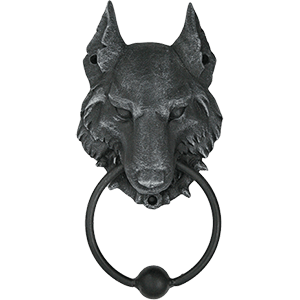 We offer a wide range of incense burners and oil burners in medieval, fantasy, and even gothic styles here. Check out our dragon geode incense burners, resembling intricately detailed dragons perched on beds of colorful crystals. We offer horizontal and vertical incense burners both, so you can burn stick incense the way you like best with the options here. 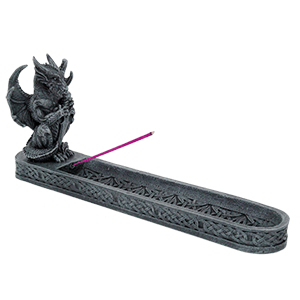 Our dragon backflow incense burners add a mystical touch to any room. Our skeleton and gothic incense burners lend a grim elegance and macabre delight wherever they decorate, and many of them are designed to hold sticks of incense in the very jaws of their skull accents. 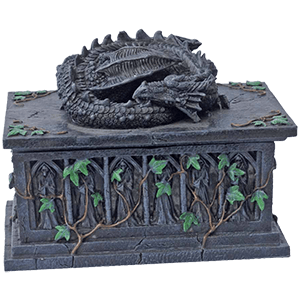 Gargoyle incense burners offer a classic take on gothic style, and many are hand painted to resemble ancient stone. Our fairy incense burners bring a sense magic to your incense burning experience. 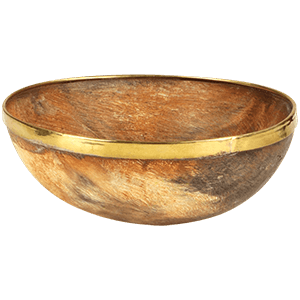 No matter your tastes, you are sure to find a fine piece of home decor - and a phenomenal way to enjoy your favorite incense scents - here. 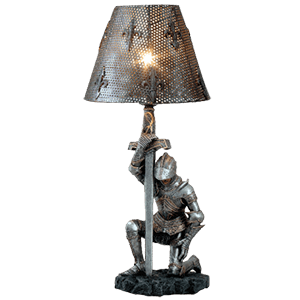 Illuminate your home in medieval, gothic, or fantasy style with our lamps and lighting options. 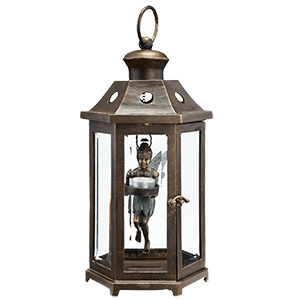 From mini table lamps and hanging wall lamps to LED dragon statues and fairy reading lamps, we offer a wide variety of lighting styles here. Shop skeleton and skull lamps to add macabre mood lighting. Our fairy LED lights bring enchanting beauty wherever they decorate. And our many dragon lamps feature light up crystals or LED orbs in their designs, lending a mystical glow to your home decor. Many of our fantasy lamps and LED statues are painted by hand and made of high quality cold cast resin, making them phenomenal collectibles and eye-catching decorations. Watching the time pass by has never been so fun! We offer a wide range of sand timers and hourglasses here to help you do just that. But these are not your typical hourglasses. 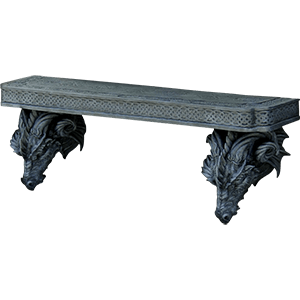 Ours are decorated with gargoyles, dragons, skeletons, and more. 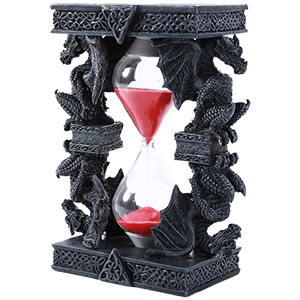 Shop all medieval, gothic, and fantasy sand timers here. Find the next accent for your gothic study or office with grim reaper, skeleton, and gargoyle sand timers. Dragon sand timers lend style that is both majestic and mystic wherever they are placed. Our medieval and Renaissance sand timers bring the elegance of eras long past. Many of these sand timers and hourglasses are made of high quality cold cast resin and painted by hand, making them both unique collectibles, fascinating decor pieces, and intriguing conversation starters. 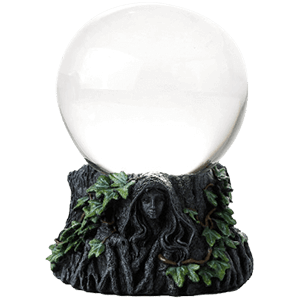 Shake up a bit of magic with our medieval and fantasy snow globes. Great for collecting, display, and gifting, our water globes and snow globes make enchanting and interactive additions to home decor. We offer dragon snow globes and water globes that feature impressive dragon statue aspects on both the outside and inside, where they are surrounded by swirls of sparkles. 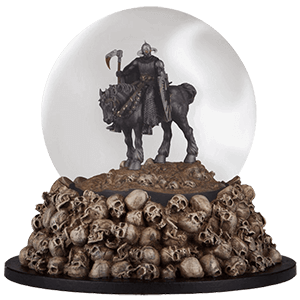 We also offer gothic snow globe styles with skulls and ravens inside their glittery orbs. Shop unicorn snow globe sets and mermaid water globes that bring fantasy charm to wherever they decorate. Many of our snow globes are painted by hand and intricately detailed, and we offer a variety of snow globe sizes perfect for setting on desks, night stands, shelves, and mantels. Bring captivating beauty to your surroundings with our themed snow globes. Flowers look best when in a vase that matches their beauty and ties them to the decor surrounding them. Shop all our beautiful Renaissance, fantasy, and medieval vases here. We offer a selection of high quality vases that look great even on their own. 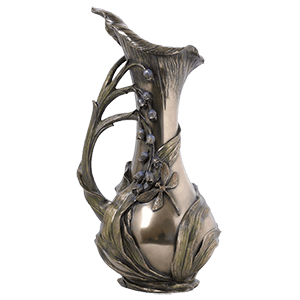 Many of our themed vases feature flower and fairy embellishments in gorgeous Renaissance and art nouveau style. Hand painting often highlights the intricate details of these floral vases, and others have a beautiful cast bronze finish. Check out steampunk and octopus vases her as well as versatile medieval and fantasy vases. Keep checking back on this category, as more vase styles will be added as they become available. Before you pour yourself a glass of wine, enjoy the beauty of it by placing it in one of our wine bottle holders. 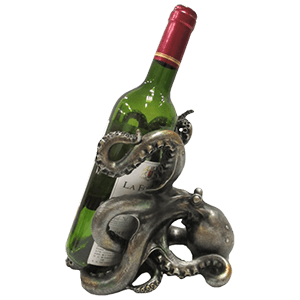 We carry a wide assortment of themed wine bottle holders with styles that range from fantasy and gothic to pirate and zombie. We offer fun wine guzzler bottle holders where it looks as though the character is partaking of the wine, as well as majestic dragon and Celtic bottle holders hand painted to look like ancient stone. Our zombie, gargoyle, and skeleton wine holders bring a gothic element to the table. Many of our wine bottle holders are made of high quality cold cast resin, impressively detailed, and painted by hand. Whether you are looking for a unique addition to your home decor or getting ready for a themed party, add your personal style to the wine drinking experience by displaying your favorite wine in one of our many wine bottle holders.